If you have a loved one who has been injured or is recovering from an illness that prevents them from caring for themselves in their own home, the National Home Health Care Agency can help. We have a dedicated team of nursing professionals who are certified, licensed and experienced with all aspects of home health care. They will assist with administering medications properly, monitoring recovery and pain levels, wound care, physical therapy, and many other in home services necessary for the care of your loved one. Our services are rendered 24 hours a day, seven days a week if needed. We believe home health care makes a difference in recuperation time as well as keeping your loved one comfortable during their illness. The nurses will respond to the needs of all patients in a prompt and efficient manner. If there are questions they are not able to answer immediately, they’ll research the best answer and call you back quickly. 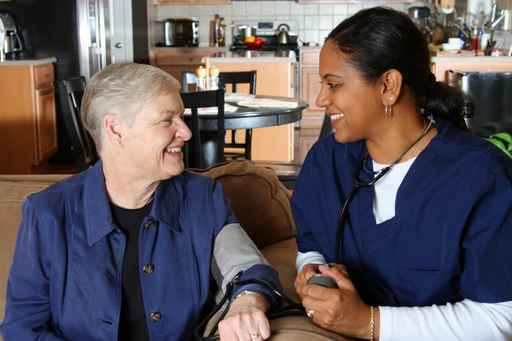 Everyone has a different medical situation that requires different home health care plans. However, you can be assured your loved one will be well monitored to make sure all medical advice from the doctor is being followed, they do not develop bed sores, are not in pain, physical therapy is followed closely (if applicable), and other daily home responsibilities are being met. If you are curious about the service your family member is receiving, we highly encourage you and other family members to be involved with their recovery program as much as possible. We are committed to providing quality home health care in order to improve the wellbeing of your loved one. Let our caring, compassionate and dedicated team of professionals help with all your loved one’s home health care needs. Call to talk with one of our representatives today.